Myrick Marketing and Media and Net Galley allowed me to read this book for review (thank you). It has been published and you can get a copy now. Kyle is the first on the scene and helps Jared get the pilot out of the plane. They cover him with a blanket and then go for help. That's where the first problem crops up. Kyle wants to go his camp where his grandmother and father are and Jared wants to go up a hill to get cell phone reception. Jared is used to getting what he wants and he heads up the hill by himself. 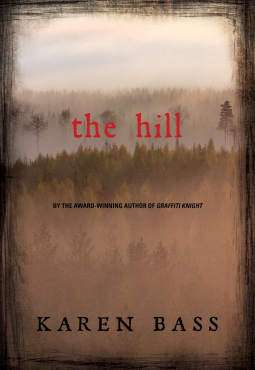 Kyle tells him his grandmother has warned him about staying away from the hill but Jared doesn't listen. Finally, Kyle follows him. They should have listened to grandma. This tale is set in Canada. When you get out in the middle of nowhere in Canada, it really is. Jared has no sense of direction, has never even been camping and hates being in the position he is now. Kyle is angry that Jared won't listen and knows that he's being looked down on because he's an Indian. They have plenty of time to discuss those issues and find each other's hot buttons on the trail. The problem is that they are not alone. From the top of the hill where there is still no cell phone service, they can no longer see the swamp, the plane, or his grandparents camping spot. They didn't just go up a hill; they moved to another time. The worst part? The time they are in has a monster in it. They have to figure out how to get back to the right spot in time and how to stay alive while doing it. It turns even more critical when they find the wall between them and the current time is coming down and they have to find a way to capture the monster before he moves into the world they live in.